From the moment my legs could carry me I knew sport and fitness was for me. 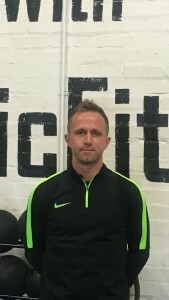 From a child playing football to an adult playing in a gym, that passion and enthusiasm for keeping myself fit and healthy has now enabled me to encourage others, to find their passions within fitness and maintain healthy lifestyles. Since starting NicFit everyday is never a work day, we are extremely fortunate to train inspirational people that allow us to keep doing what we enjoy most. I have worked in the Fitness Industry since 2004 and it is the best job in the world because everyday is exciting and challenging. I am so lucky to be able to channel my energy into fitness and have the opportunity to motivate others. It was 2008 when everything fell into place as this is when NicFit was born and it really did take over my life. I feel extremely grateful for all the amazing people I have met and been privileged to share my passion with. Helping them has helped me to become the Personal Trainer that I am today and I am always ready to support anyone that wants to make lifestyle changes to reach their goals. With a certain birthday fast approaching I had a midlife crisis!! I couldn’t be fat and forty!! So I joined a gym and met two people who encouraged me to find a positive approach to exercise. Now two stones lighter, two dress sizes smaller and much, much fitter and stronger exercise is my life! 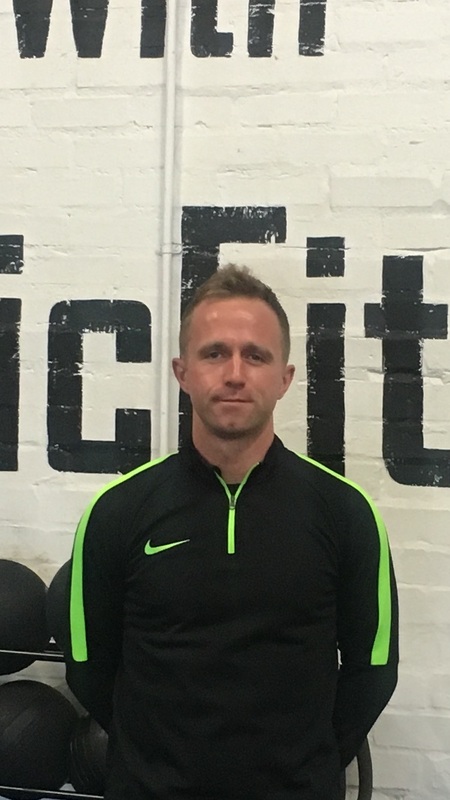 With an understanding approach, and a special interest in nutrition and lifestyle I can now help others to achieve a life changing attitude to fitness for life. Since I can remember I have loved sports, fitness and pushing my body to it’s limit! This was kickstarted from the age of four years old when I began playing football and continued for twenty competitive and fun years. The sport taught me how to be passionate and determined when reaching for a goal and encouraging others to do the same. 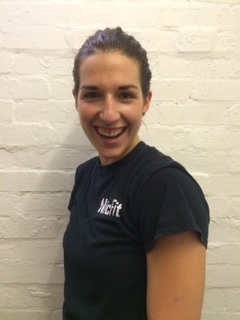 When I started personal training I realised that it was the perfect job for me. The fact that I get to meet so many great people who work amazingly hard makes everyday different, exciting and inspirational. My clients have taught me how to train the way that I do and in turn, enabling me to support absolutely anybody who wants to find and maintain a healthy lifestyle. From an early age, I loved sport! 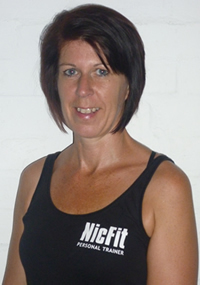 Over the last few years I have become more focused on keeping myself fit and healthy, joining Nicfit as a member around 4 years ago, I was instantly addicted to the amazing place that is the GOJ. The warm, friendly atmosphere made me want to train more, set goals and smash them. In 2015 I won the 6WC and my passion for training increased once again. 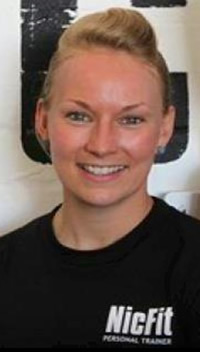 With my love for participating in sport I also wanted to further my professional education in Sport and Exercise, graduating in 2012 with my Sports Therapy Bsc Hons Degree. I continued my education by training to be a PE Teacher through University of Buckingham in 2017. I have a passion for teaching and will use my teaching expertise to encourage and motivate young children. With my love for health and fitness combined with teaching, I hope to be a positive role model for the kids, encouraging confidence and ability to achieve along with target setting to achieve their personal goals. I will also continue to use my expertise in Sports Therapy to help clients receive the physical, physiological and psychological benefits that sports massage can offer. Sports Massage is not just for sports people: anyone can benefit from sports massage, so whether you’re an athlete, work in a physically demanding job, or suffering with stress book a consultation with me to look after your body, it’s the only place you have to live. Whether you think you can, or you can’t – you’re right! Anything is possible with the right frame of mind and I’m a firm believer that if you surround yourself with like minded people there are no limits to what you can achieve. From spending my early childhood playing just about every sport possible, to my early teens on the books of Aston Villa, Crewe Alexandra and Cheltenham Town, being active has been a staple part of my life. With a fast growing interest in health, fitness and taking on new challenges, I joined the fire service in 2011. Over the next few years I entered numerous short and medium distance races culminating in the Belfast city marathon in 2014. With the marathon ticked off the list the next target I had in my sights was to compete in the British Firefighter challenge. I did this in 2016 and along with a now fully developed obsession with the fitness industry, sports performance and overall health and well being, my next pursuit had to be becoming a personal trainer. The opportunity to inspire and be inspired is what makes this job so rewarding for everyone involved. Let’s see what we can achieve together!